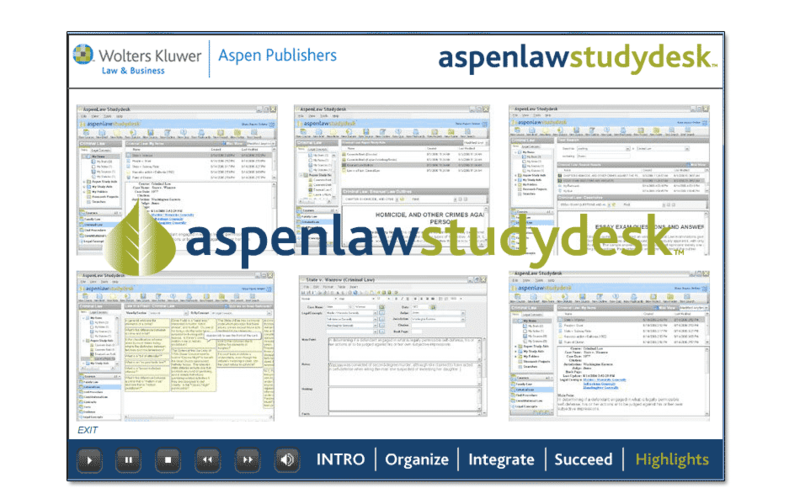 AspenLaw Studydesk is dynamic productivity software that helps you take control of your law school studies. 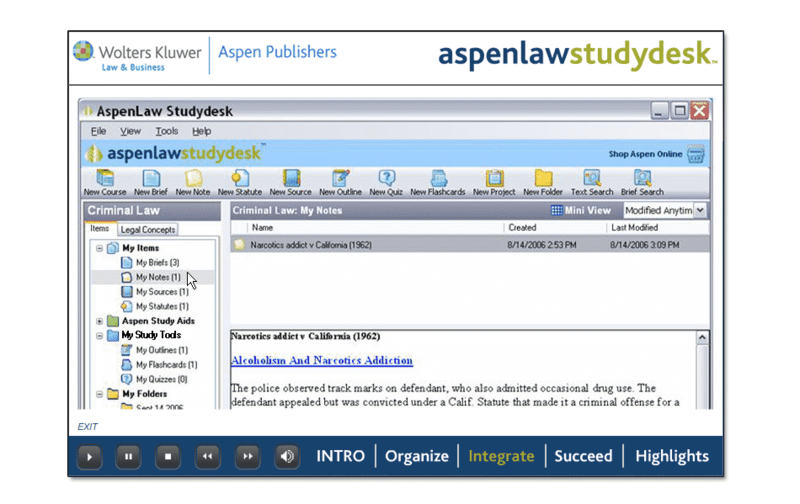 Unlike other software, AspenLaw Studydesk was created by a law student specifically for law school. 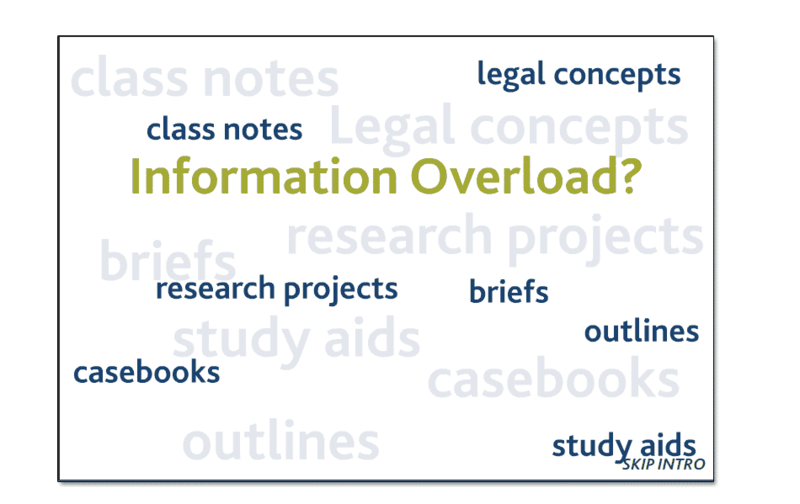 And it is the only software available that lets you utilize digital eBook versions of our popular study aids ÔÇô like Casenote Legal Briefs, Emanuel Law Outlines and Examples & Explanations. 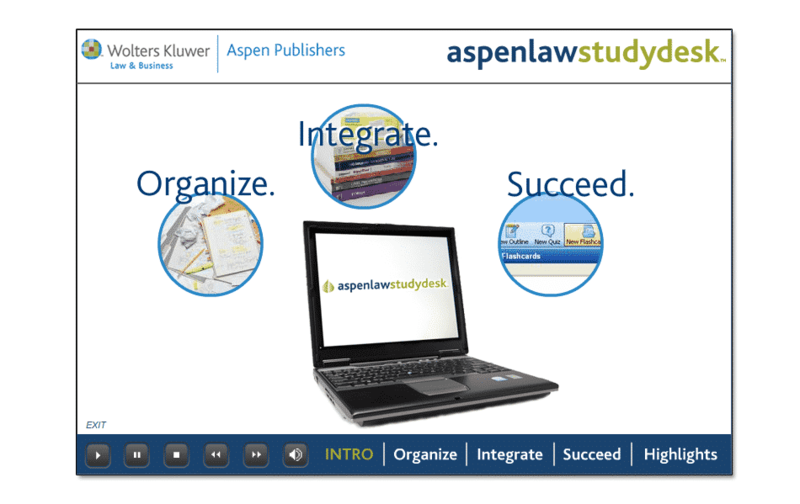 GoingClear Interactive developed a flash-web-based online interactive demo which served as the product demo for law students across the country.┬á This interactive demo includes five sub-sections, voice narrated screen-shot walk through elements, full navigation and web optimized structure for display on the product website as well as developing a version to be included on a cd-rom that was included in the initial packaging of the product.